Busting At the Seams? Need More Space? 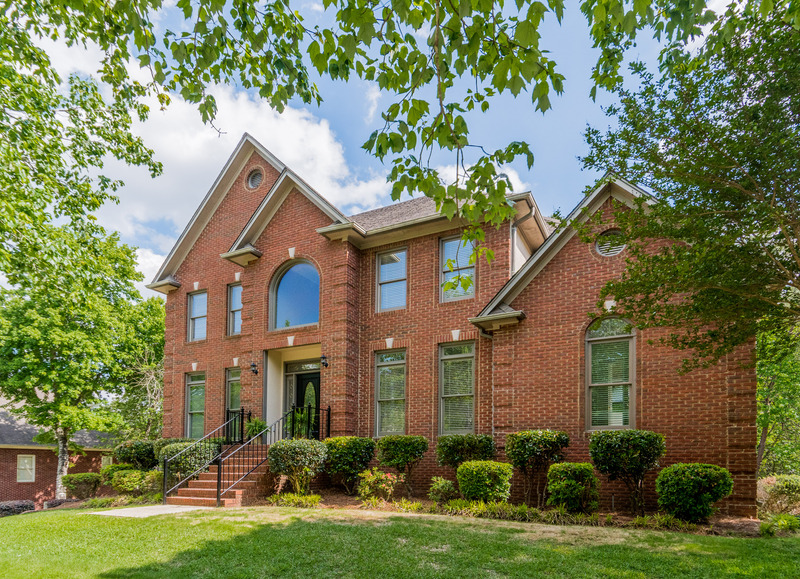 This Hoover home, located in Willow Trace, just off Hwy 150, at 195 Trace Ridge Road, is ready for your growing family. It has 5 large bedrooms that each have access to a bathroom. The extra large master bedroom is on the main level and the other four bedrooms are upstairs. The main level has a formal dining room with a formal living just across the entryway. The formal living room is perfect for an office. The family room opens to the updated kitchen and features a gas fireplace. The updated kitchen has new granite counter tops, new tile back splash, new lighting and updated paint and hardware on the cabinets. The kitchen eating area is extra large and has a great view of the spacious, open, back deck. Downstairs is the finished basement with a full bathroom and two additional rooms. One of the rooms has a door to the backyard. The plush green front and back yard are ready for your pets and children. Additionally, the level driveway is extra wide providing added parking and play space. Check out this home today that is priced to sell. Call today for your private viewing!